You are at:Home»Demographic Traits»Category: "Employment"
What is the average commute time in each U.S. county? A look at what counties had the longest commute in the United States using 2016 American Community Survey data from the U.S. Census Bureau. 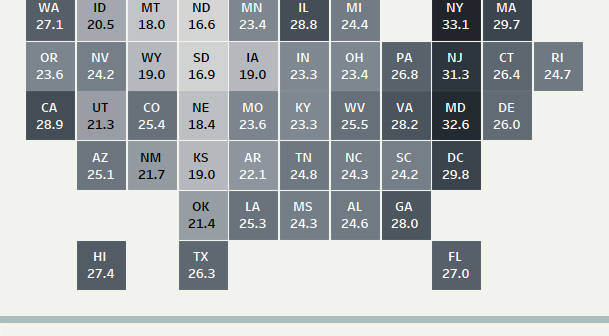 A look at what percentage of the population is part of the labor force in each U.S. county. A look at what the average commute time is in each U.S. county. What is the average commute time in each state? A look at how long it takes Americans to get to work in each state.